could it be time to just let go? 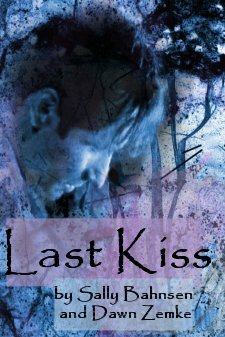 song, “Last Kiss.” We hope you like it! melted to trickle down his cheeks in icy tears. Oh, God. What had he done? skin. Tight, painful breaths. Chest heaving. Pain. adding to the confusion. Where was he? created by his breath. Swirling into the night. a look any punk rocker would envy. him to wear his gloves. He should have listened. toddler desperate to use the bathroom. out at him. He shivered. of his own, smiling. Scully. with an affectionate squeeze to his arm. Longer than he cared to admit. 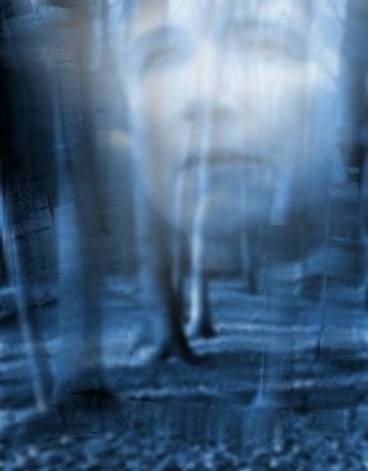 she was alive, now haunted him. the smooth wood, he admired the view. large metal pot and humming under her breath. scuffing back and forth against the tile. slipped both arms around her waist. the assault of his lips and tongue. felt, rather than saw him wriggle his eyebrows. while tilting her head encouragingly. when he began working his way back along her jaw. affected a quicker halt to Mulder’s festivities. evidence and a flush spreading across his cheeks. and examining it with a critical eye. tomato wedges and began attacking the cucumber. reached around to open the drawer to his right. slip, slicing flesh instead of the cucumber. bleed all over the cucumber slices. sink.” Maggie’s voice was calm and unruffled. Maggie’s stern glare stopped his words cold. curved. “I see your point. Lead the way, Scully. slowed to a steady trickle. gauze pad and a small bottle of hydrogen peroxide. you had a knife. I should have known better. That coaxed a rueful little grin onto her lips. the gauze pad, and stretched out her hand. “Here. Scully folded her arms and narrowed her eyes. desperately trying to gauge how serious she was. Finally, he huffed and stuck out his hand. Scully chirped, reaching for a bandage. still, sinking into the darkness. something he had to do, some place he had to be. it seemed to be missing. He wished for a similar numbness in his head. to land none too gently on his back–panting hard. to his chest, and moaned. memory, echoed a familiar mantra. the fine flakes floating from the sky. there. And he had to go to her. Oh, God, that meant he *had* to get up. Maybe if he just took his time. Slowly. He could do it. Support left arm against chest. Okay. Bend at the waist. Sit up. A little more. Just a little more. another spike of pure agony. decision to move, but standing nonetheless. never make it up again. finger, cutting into the distended flesh. “Wha…Scu…” The words caught in his throat. head as if she were standing beside him. Blue eyes smiling at him. thinking, the need to focus. must have been there already. Then where the hell was she? at the bandage on his finger. dishtowel, turning to face him. replied with a crooked grin. necessary. I’m…I wasn’t very close to my mother. auburn head nudged its way under his left arm. brief hesitation, she sighed and shook her head. Mulder leaned in until his lips brushed her cheek. that Mulder had neglected to wear gloves. its way deep into his bones. was. He had come to accept it. Numbness. He ached with it. know, and now, he was beyond caring. heightened the agony in his arm. frigid temperature sapping him of his strength. How did he come to be alone? Drive carefully. Drive carefully. Drive carefully. against the ice-deadened skin on his face. painful left one lie uselessly beneath his chin. reduced their already sedate speed. windshield wipers and render them useless. Trust Scully to remember that little detail. and concentrated on not clenching his jaw. and fingers shattered her customary reserve. no match for her powers of perception. the way she worried her lip between her teeth. seat to rest on his thigh, warm and solid. “I’m sorry if she said anything…painful, Mulder. of his voice both startled and gratified him. put it aside, Mulder. Buried it in a dark place. transformed the freezing rain to sleet and snow. the icy roads, not old wounds. connect with her son one last time. windshield, his body thrumming with tension. “Visibility is practically zero,” he said tightly. hanging off the side of the embankment. pick up momentum as they neared the stalled car. Impact was swift and unavoidable. scream of pain from her lips. brain until the pieces fell into place. Mulder turned his head toward the passenger seat. seat beside him confirmed his worst fears. sharp pain shot up his arm. half fell, half climbed from the stricken vehicle. desperately trying to force his body to cooperate. oozed along the side of her face. “Cold…I’m…cold.” Her eyes rolled shut. to do. Then she’d be all right. rolled onto his knees and shuffled back to Scully. had laid her on the back seat he was seeing stars. his head and settled the nausea in his stomach. in to tuck the coat around her. the edge by her waist. traced the line of her jaw with his index finger. beneath his fingers, he felt nothing. “NO! grasped her arms and pulled her towards him. lolling bonelessly to the side. clear to him now, so obvious. struggled to come up with a plan. too? Where the hell did it go? Where is it, where is it? or a handful of grass it came away in his grip. last tether to safety slipped from his grasp. through the curtain of swirling flakes. sob wrenched from his lips. stomach did a lazy roll. bulky padding. An oxygen mask covered her face. “All things considered, she’s one lucky lady. efficiently in response to his call. they had to do was find Mulder. Again. as he led the way toward the parked cars. knowing Mulder, he doubted it. guess we got back here some time after midnight. far there’d been no sign of Mulder. indicated he’d been injured, but still mobile. all they had to do was find him. morning darkness, chilled air and warm blankets. His eyelids fluttered, but remained closed. him immediately to wince at his own stupidity. going to solve anything. You need to get up, Fox. gusting wind, sleet, and snow, stood his mother. years. The “oh for heaven’s sake, Fox!” look. fogginess. His head snapped up and his lip curled. Mulder was nothing if not sure of her convictions. disappointment to each other. But I did love you. caught in his throat and tears burned his eyes. familiar gesture bypassed his defenses. been comical if it hadn’t come from his own mouth. brighter, and then everything faded away. leads, itching to follow Mulder’s trail. The going had gotten tough almost immediately. more than a half mile from the road. there was a loud cry up ahead. 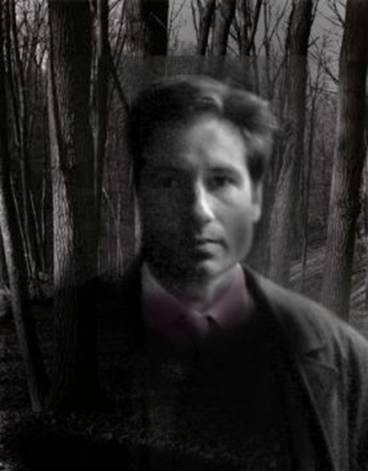 the report on Mulder’s condition. heavy blankets that must have felt like heaven. of his agents would survive this night. The maddening itch dragged him to awareness. The expected hospital room–private, thankfully. pulled up beside the bed. word emerged more breath than substance. taking the opportunity to study his boss. live.” And that was the irony, wasn’t it? and… Scully was thrown from the car on impact. you’d wandered nearly a mile away from the road. than the oblivion of sleep. He could hear the frown in Skinner’s voice. offered Mulder a dazzling smile. She waved a hand dismissively. “Not surprising. much better.” She tipped her chin toward Skinner. yet he’d never once asked about his partner. *You were lucky, Mulder. Very lucky. 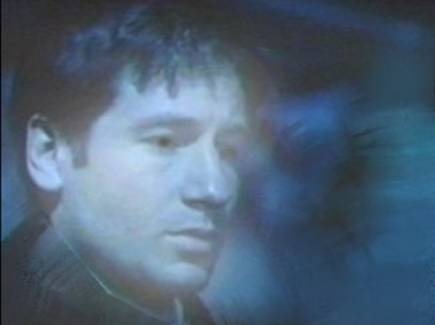 Mulder believed Scully was dead. “There’s no cause for alarm, Mr. Skinner. “Damn.” Skinner squeezed the back of his neck. “There’s been a bit of a misunderstanding, Doctor. couldn’t help grinning at her obvious suspicion. the aching emptiness in his chest. he knew the truth in them. his heart suddenly hammering at breakneck speed. trailed back through his hair were unmistakable. and a rare, teeth-flashing smile. now, heart-stoppingly warm, and solid…and alive. embrace, face buried in the crook of her shoulder. in continual reassurance that she was real. the slight squint that indicated headache. concede the point. “I wandered around in circles. sensation. “Feels like my hand has been asleep. The door opened and a nurse stuck her head inside. lingering hand cupping his jaw. had wheeled her from the room, he was asleep. arms and padded barefoot into the living room. Scully could see his mind was miles away. around to pull her more snugly against his side. speaking, she shook off her stupor and sighed. “Something happened out in that snowstorm, Mulder. spoke, his voice was little more than a whisper. to touch the soft, warm skin beneath. “Which part? scrutinizing his studiously blank expression. make out the words, certain she’d misunderstood. very lightly across this minefield. thoughts and emotions swirling, chaotic. “I would, except…” She blew out a long breath. told her she’d answered well. inches from his own, cheek cupped in his palm. neck, she proceeded to show him.